I just got this book, Core Memory: A Visual Survey of Vintage Computers. 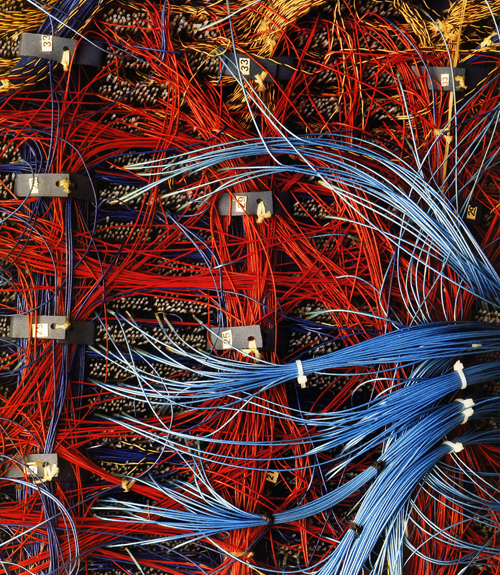 It's really visually inspiring (and supremely nerdy), but I love seeing the organization of wires, switches, and buttons! Who knows...I just might make a trip out to visit the Computer History Museum in Silicon Valley to see all these computer dinosaurs. So it was my birthday yesterday. I got together with my high school girlfriends (Jeannie, Jeanne, and Robie) and my old college roommate, Gertrude, on Sunday for brunch at Universal Cafe. 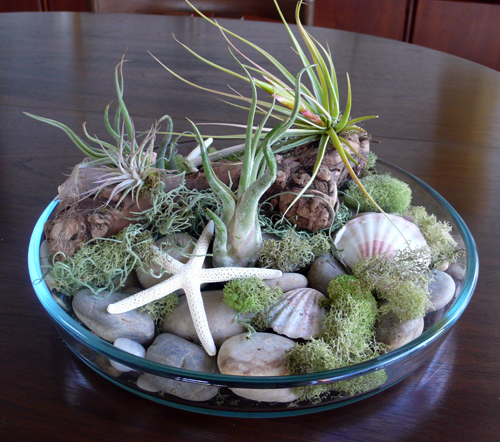 They gave me this beautiful terrarium--and Jeannie was the mastermind behind the design! Really nice work guys. At Universal Cafe, Gertrude and I also ran into Cindy, our dorm floor friend...years ago. Which reminds me: when we first moved into our dorm room they so kindly put our names on the door: Gertrude and Margaret (that's my real name). Um, we sounded more like ladies pushing 80 in an assisted living facility than college freshman! Oh yeah, folks were knocking on our door JUST wanting to hang out with us. And yesterday, I had dinner with my family. 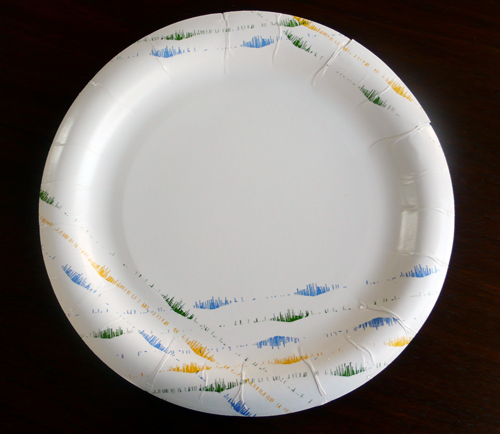 And I was surprised to see these paper plates that Marvin bought from the grocery store. I have to say this is pretty cool for Dixie (or whoever makes this), way better than cheesy florals and grapes. Wouldn't this be a nice pattern on fabric? And this. 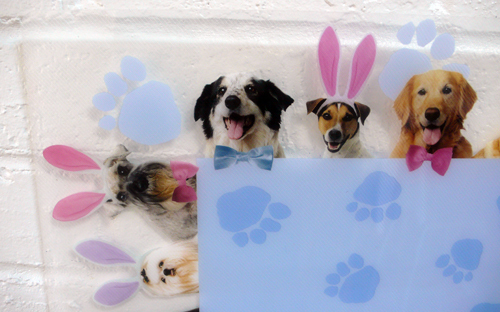 Well, these snazzy placemats (yes, those are dogs wearing bunny ears) were a gift from my mom. Needless to say, I was speechless. 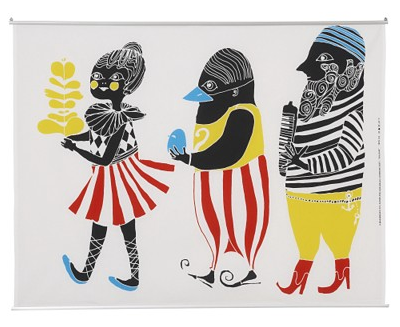 I've been eyeing this Marimekko wall hanging at CB2 for sometime and I haven't quite pressed the order button yet. Of course, I love the primary colors. Then I saw Joy's post on Maija Louekari, so I had to check to see if this piece was made by her. And indeed, it was. Damn that girl is talented! Here is another office supply/organization book. I was thinking yesterday about why I'm so fixated on paper and office supplies...and I think it had something to do with how my mom used to bring me with her to work during summer vacation. (I know, Asians sure know how to give their kids a swell summer break.) I used to sit at the IBM Selectric (that's a typewriter for all you kids) and I'd pretend to type up all kinds of important documents. She worked for the military (clearly, they were on high alert with me behind the desk) and I guess spending a summer in that environment probably has some basis for my love of industrial furniture and office supplies. I got this book is called "Filing" at Tortoise Life a few months ago. It's one of my favorite design books. Produced by the Hara Design Institute, it is a result of Makoto Orisaki's project called "Haptic" (originally produced for the Takeo Paper Show in 2004) which was about chaos and organization. It's written in both Japanese and English. Thank goodness! First off, the book is just very simple, beautiful, and inspiring. 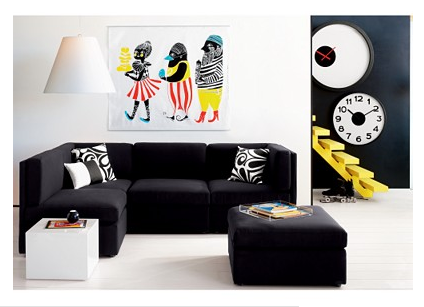 It features organizational design from primarily Japan. 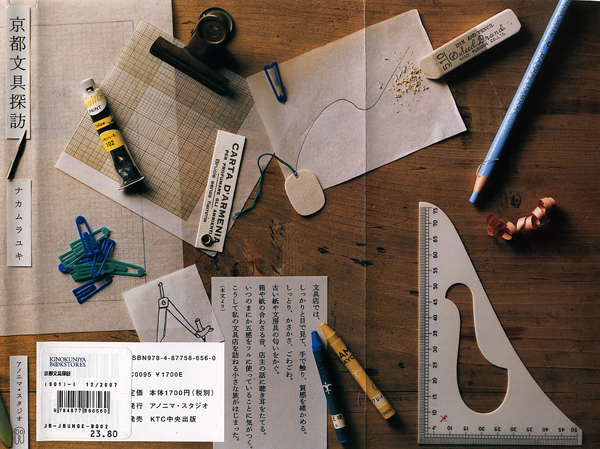 Some of the best designs are by the Hara Design Institute (Kenya Hara), who helped develop Muji's brand and products. 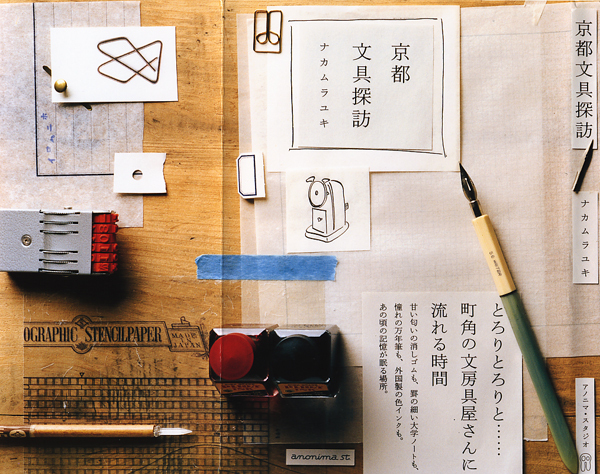 So there is alot of Muji-esque work. 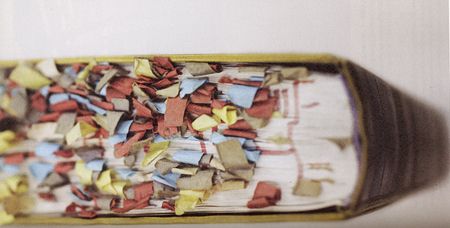 "Actions that create texture: The sticky notes express the staggering scale of this indexing task. Maybe there is a hint here to find a new solution." 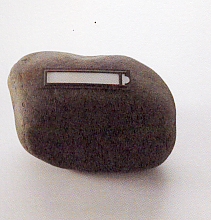 "A label turns anything into a file: Apply the label to a stone used for weighting pickles, writing on it, 'cabbage-leaf kimchee' or 'pickled eggplant', and the stone become a file. 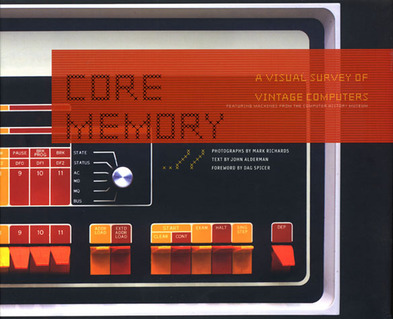 It's a pity that so few objects originally designed as files are aesthetically pleasing." Oh I also just bought Designing Design by Kenya Hara. The covers look so similar. It's gotta be good, too. I have no idea what the title of this book is and I can't read a lick of it, but it's full of images of vintage office supplies. Very inspiring if you're an office supply nerd like me. 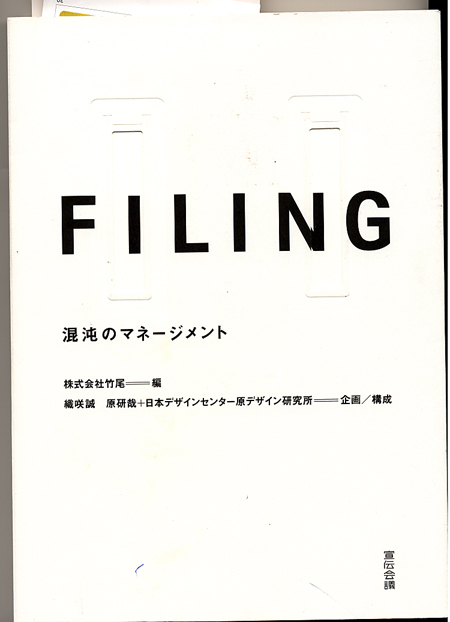 If you want to get the book, just give this ISBN number 978-4-87758-656-0 to Kinokuniya. 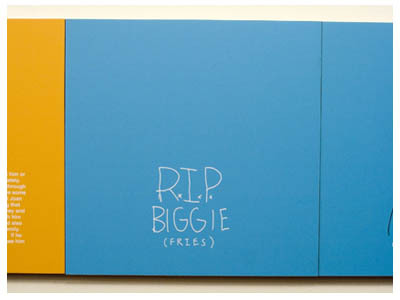 These images are the book's dust jacket. I love the desktop shot! I just got a copy of the Princeton Architectural Press Spring 2008 catalog yesterday. Dude, check out the image on the cover! Look at that wicker railing! 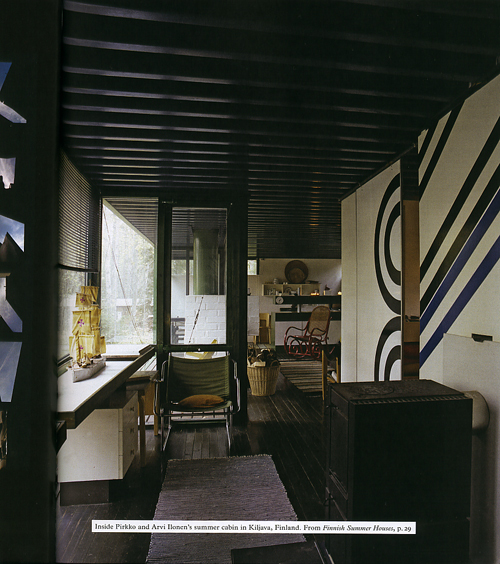 The image is from a new book coming out called Finnish Summer Houses by Jari Jetsonen and Sirkkaliisa Jetsonen. 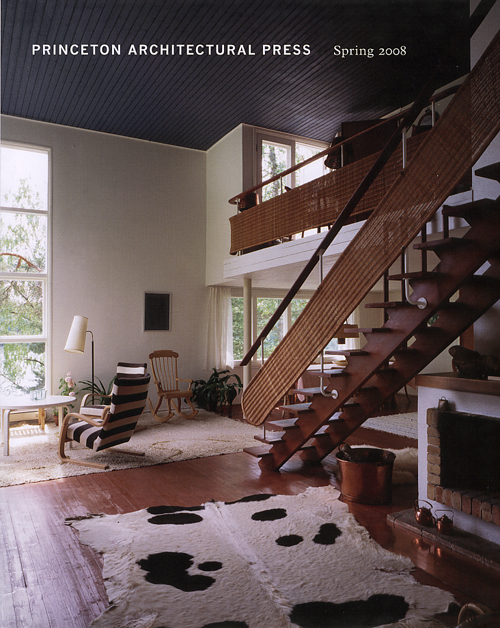 Included in the book will be 20 villas, cottages, and cabins by architects such as Eliel Saarinen and Alvar Aalto--so you know it's going to be good. I can't wait to get my hands on a copy.